The Clodius Parnassian butterfly is more common at the top of its elevation range in the California mountains than in the past. Climate change is making things rough for many vertebrate and invertebrate species. But add to this a steady loss of habitat, and many species just can’t adapt successfully to the combined stresses. From the coastal lowlands to the coniferous tree lines of Northern California’s Sierra Nevada Mountains, scores of species of butterfly are in an existential fight for their evolutionary futures. The survival challenge seems to be most impacting those species whose preferred habitats lay in the lower elevations, but the effects are being felt further up as well, as more butterfly species are moving into higher-elevated habitats. This evolutionary struggle might have gone unnoticed but for the diligent work of one research team, lead by butterfly expert Arthur Shapiro of the University of California at Davis. For the past 35 years, Dr. Shapiro and his field team (often comprised of his graduate students), have been collecting data on some 159 species of butterfly at ten locations scattered throughout this biological “hot spot” that is the Sierra Nevadas. Mention butterfly collecting, and one might conjure up a comical image from some old movie of a net-wielding ‘Lepidopterist’ (a moth or butterfly collector) in pith helmet happily hunting his inconsequential quarry. But for Shapiro and his team, lepidoptera (the taxonomic order that includes butterflies) are serious science. No mere, showy examples of Nature’s handy work, butterflies are in fact important “harbinger” or “indicator” species. Their colonizing, migratory and mating behaviors offer scientists valuable clues to the ecological health and robustness of the ecosystems they are an integral part of. The team’s findings were dramatic: half of the monitored sites showed declines in “species richness” (the total biodiversity or numbers of species of a certain type). The monitored sites range in elevation from sea-level to nearly one and half miles above sea-level–with lower elevation sites showing the greatest reduction in richness. 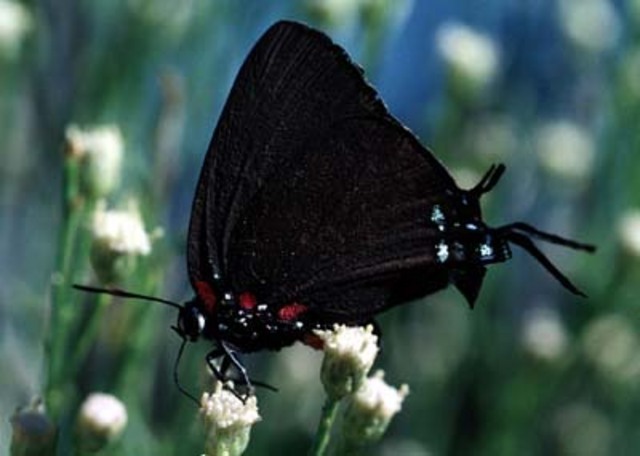 The Great Purple Hairstreak (Atlides halesus), generally considered endemic to the warm-winter climates of the Pacific slope, has recently become established as a breeding resident at Sierra Valley, apparently capable of overwintering. The Fiery Skipper (Hylephila phyleus), one of the few “ruderal” species of butterfly that is adapting to suburban sprawl. 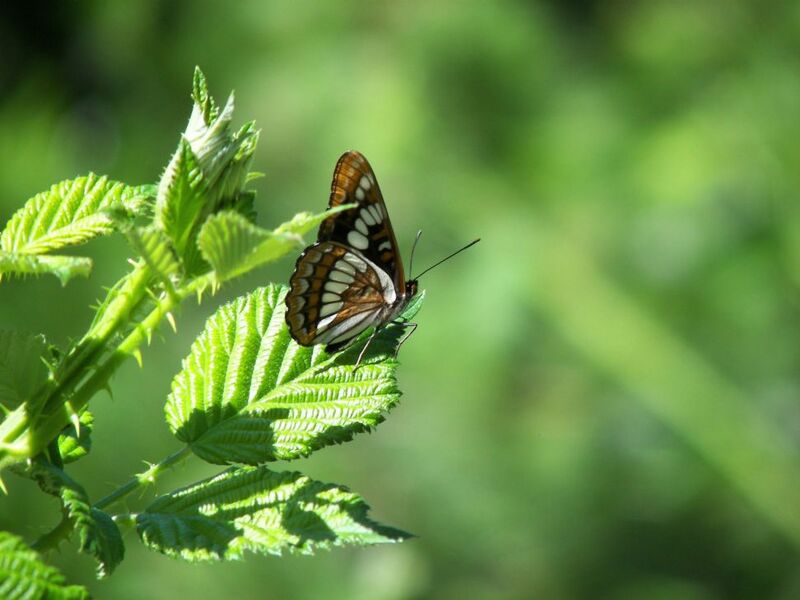 The team published its long-term study results earlier this month on the website Proceedings of the National Academies of Science (‘Compounded effects of climate change and habitat alteration shift patterns of butterfly diversity’). One of the most surprising discoveries by the team was the fact that the more critical species (from a conservation viewpoint) were not the most impacted by this compounded situation. Instead, it was the common, ruderal (or “weedy”) species–ones with less specialized habitats–that were experiencing the greatest declines. Says Shapiro: “We did not anticipate this finding. It just came out of the analysis…These species made their accommodations with us a long time ago, with most of them now dependent on non-native host plants. The fact that they have declined precipitously in recent years–specifically, since the late 1990s–and on a regional basis points to a threshold phenomenon. We have done very detailed analyses (in another paper, in the pipeline) that show that although their declines are correlated with climate change, the contribution of different climatic variables to that decline varies from site to site, even though the declines are uniform and simultaneous across sites. In a nutshell, that says that climate is not the main driver. We think land use–habitat availability and especially habitat connectivity–is.” Apparently, urban and suburban “sprawl”–decried by environmentalists and over-development critics for years–is especially bad for butterflies as well. But are any able to adapt to this land-use surge? 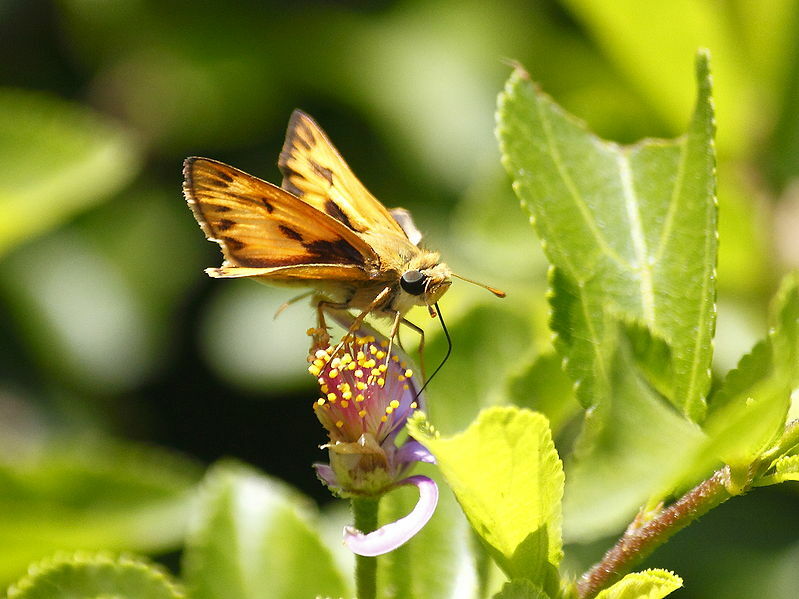 “Except for the Fiery Skipper, Hylephila phyleus, which eats Bermudagrass in lawns, few of these species can sustain breeding in extensive urban and suburban landscapes. Vacant lots, roadside ditches, and such are essential to their persistence. 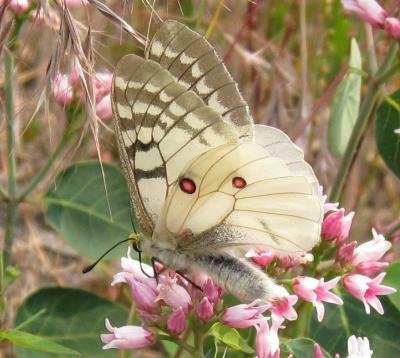 Tract sprawl is lethal.” In the paper’s concluding thoughts, the team calls for expanding the scope of butterfly conservation efforts to include these ruderal species when attempting to estimate the effect of compounded, environmental stresses. As far as the long-term impact of butterfly declines on the ecosystem(s) of this region, Shapiro added: “The crystal ball is cloudy. I am a student of paleoclimatology and paleovegetation dynamics and I know that “communities” are an illusion–as I put it in my book, freeze-frames from a very long movie. Change is the norm (though the rate varies); stasis is the exception. When the American Chestnut disappeared as a forest dominant in the east, the system did not collapse–and as far as we know, not one species went extinct (note: see comments at the end of this article). I doubt that butterfly faunistics will trigger a catastrophe, but I’d love to come back from the dead in a couple of hundred years (that is, two or three conifer generations!) to see what the Sierra looks like.” Shapiro’s thirty-five year old (and growing) database is somewhat of a rarity in science; it is long-term, has had the same collector/team, and covers multiple sites and multiple species. Such an important data resource will no doubt prove even more invaluable in the coming years as the effects of climate change accumulate. But it seems that with butterflies, as with so much other flora and fauna, accurate prediction of long-range ecological impacts from loss of species is beyond Science’s abilities–even if you’re an expert with a prized database. Research team members and additional listed authors of the paper include Matthew L. Forister, Andrew C. McCallb, Nathan J. Sanders, James A. Fordyce, James H. Thorne, Joshua O’Brien, and David P. Waetjen.